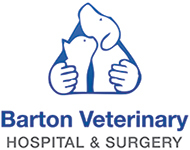 Here at Barton Veterinary Hospital & Surgery, we’re very proud to have so many enthusiastic and dedicated individuals working in our friendly practice. We are all passionate about animals and their well-being, from our veterinary surgeons and qualified nurses to our essential support staff. Highly trained and caring, each of us has a role to play in making this a special practice for you to visit with your pet. In additions to our stable team, we train veterinary nurse placement students and welcome many people to see practice with us. This is a great way to keep knowledge up to date and participate in the training of the profession.